Museums, Palaces and Cathedrals OH MY!...After spending the first 6 weeks exploring the cultural aspects of Vienna, such as the incredible Churches, (St Stephens, Peterskirche, Karlskirche and 10 others) Museums not to miss (The Leopold, Kunst-Historriches, the Armor and Natural History to name just a few) and Palaces, (The Belvedere and Schonbrunn) we have been visited by our nephew Trevor and some of Renata's friends. When the Pubs and Gasthaus close here, the best place to continue the party is the local Karaoke bars. They stay open until 4 AM and although the weekends are not enjoyable and filled with drunks singing Bon Jovi in the wrong key, the weekdays have some smaller crowds with beautiful voices and supportive audiences (even for energetic, albeit suspect, versions of Springsteen and Sonny & Cher)... Special shout-out to"Beer & Song" and "Sing a Song" Karaoke Bars. 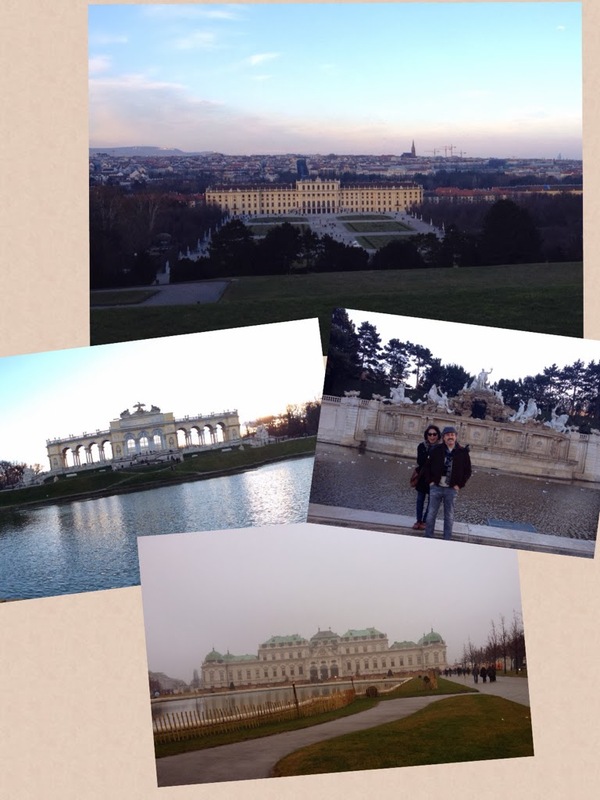 The Schonbrunn and Belvedere Palaces - looking for a fixer-upper to flip. It is sometimes a shock to the ear to attend a superb Opera such as Beethoven's Fidelio, (and we all were just blown away by the Staatsoper production), and the next night hear unique variations on the widest range of popular music of the last 60 years. 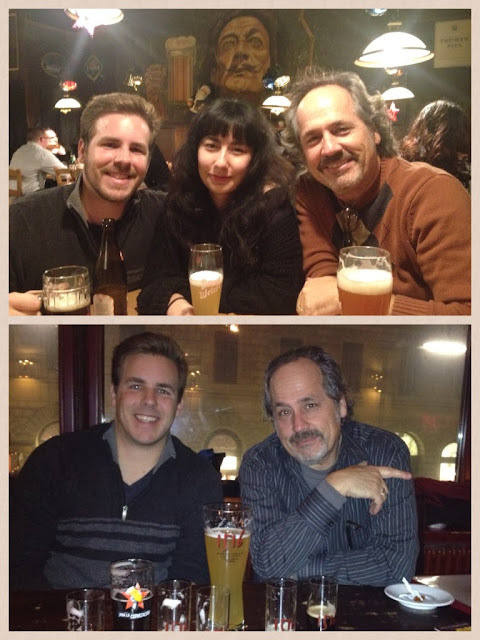 A very good time in basement bars with great beer, lots of energy and meeting nice locals. I take no claim on this blog, especially the picture of Sonny and Cher, and my off key singing you are lucky not to have heard (that is what a few beers will do). I will admit Rich, Trevor, Renata, and Ali have beautiful voices, so hearing them sing was a treat - I think all the opera we've been going to inspired them. Spice Girls: "So tell me what you want...."
After a long day touring museums and before the Karaoke - checking out the local beer scene in Vienna's Centimeter a local Gasthaus and the 1516 Brewery. Hope to join many of you in song at a Karaoke Bar in some corner of the world! Athens Greece - "Can You Dig It?"